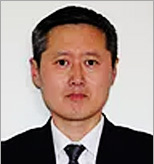 Donghui Li is a Process Metallurgist with extensive expertise in the area of CFD (Computational Fluid Dynamics) modelling and a specialist in lab scale experimentation. He has executed many successful projects with various ferrous and non-ferrous clients for the past 20 years and has over 30 publications. A passionate designer and phenomenally creative, Donghui has developed complex experimental systems, including full-scale water modelling systems, metal delivery system, scaffolding system and data acquisition system for root cause analysis, and proposing value-added solutions to industries. He has a PhD from McGill University, Canada.